Millenium Library, Carol Shields Auditorium, 251 Donald Street. for people to express their responses to the earthquakes and their hopes for the city. Downtown has become a frontier of creativity where new ideas flourish. From simple acts of kindness to large-scale works of art, each is a gift to a recovering city – yet the greatest gift is the vibrant transitional movement itself. From raw and tragic beginnings, it has grown from a groundswell of spontaneous gap filling into a force that could redefine the shape of the future city. 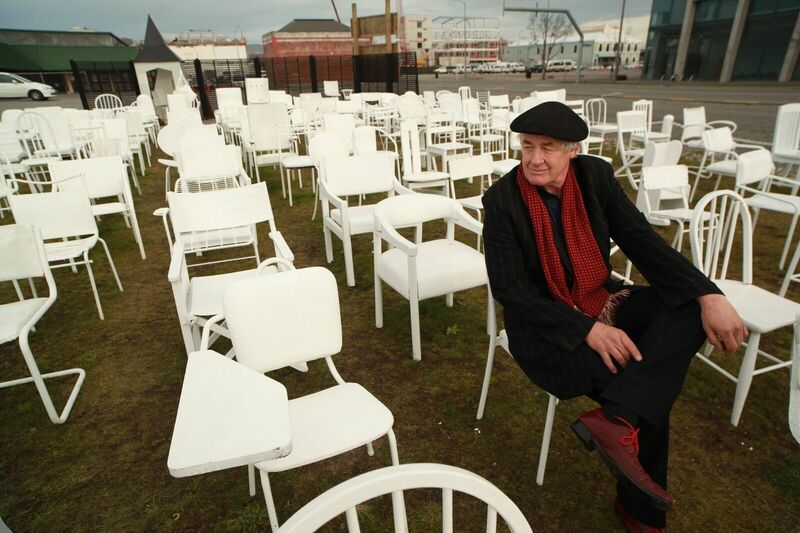 Projects like Gap Filler’s Dance-O-mat and Pallet Pavilion, the profusion of street art and Peter Majendie’s 185 Empty Chairs Memorial have become iconic symbols of the grassroots urban movement and provide sharp contrast to central Government’s big business, corporate driven approach to the rebuild of the city. Soon, a new city will arise, but whose city will it be, and will the creative energy that brought life to the rubble be a part of its future? The Art of Recovery documents one of the most dynamic, creative and contentious times in the history of Christchurch. It tells an uplifting story of resilience and community spirit that informs a greater conversation about how we live together, and how we build our cities.